Beretta's Pico is now selling after a bit of a wait, giving shooters one of the smallest .380 ACPs on the market. Beretta’s Pico is now selling after a bit of a wait, giving shooters one of the smallest .380 ACPs on the market. This is a bit of old news, given the Beretta Pico has been selling across America for more than a month now. But given the rash of new .380 ACPs recently, the handgun is still worth a gander. What makes the U.S.-made pistol from the Italian manufacturer interesting is the svelte figure it cuts. The 2.7-inch barreled handgun has an overall length of 5.1 inches, a width of .725 inches, and tips the scales at 11.5 ounces unloaded. The width of the gun appears particularly appealing for those searching for a concealed carry gun. In fact, Beretta is boasting that particular dimension is slimmer than any other .380 presently on the market. It doesn’t appear Beretta just focused on the modular pistol’s size in making it conducive to concealed carry. The gun’s overall design has a number of features that should make it dandy in or outside the waistband. The Beretta Pico is a double-action only pistol. But unlike most DAOs the handgun is hammer fired, not striker. The Pico appears to have incredibly smooth lines top to bottom and front to back. Rounding out the sharp edges and corners should make the handgun a smooth draw, reducing the likelihood of snagging on clothing. Also helping the pistol as an undercover piece is its polymer frame and stainless steel slide and subchassis. The materials provide corrosion resistance, an import feature when the gun is carried in the muggy recesses of the body. Not to mention, the two tone has a certain aesthetic appeal, too boot. Similar to most pistols in the Pico’s class, its limiting factor is capacity. The .380 – rated to shoot +P ammunition – ships with two six-round magazines. One has a flushing baseplate, the other an extension to ensure an all-finger grip. 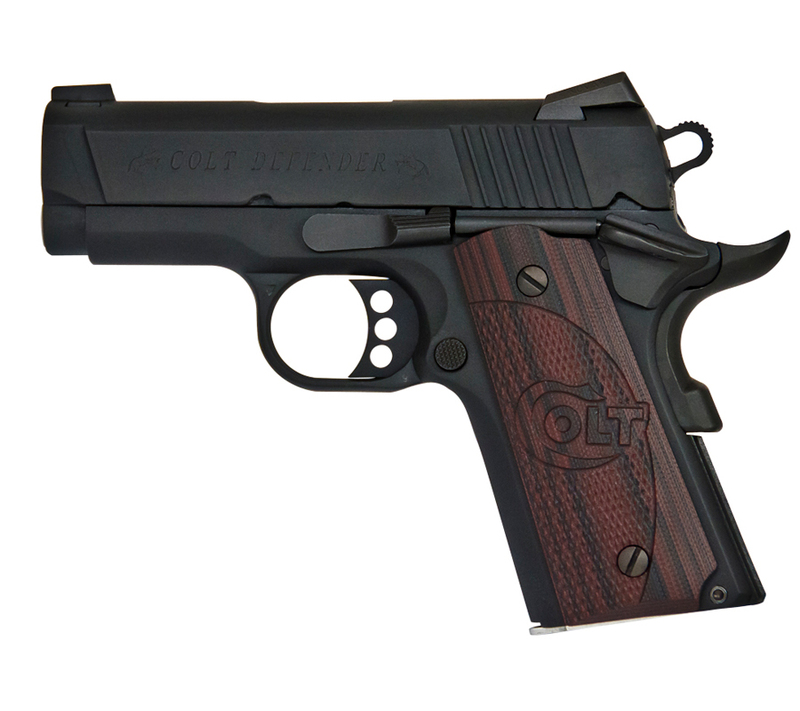 The pistol is designed for righties and lefties, boasting an ambidextrous magazine release. And, via a hex screw, the Pico’s sights are full adjustable and interchangeable. Beretta pointed out in its media, this includes compatibility with available Trijicon night sights. Perhaps the most striking aspect of Beretta’s Pico is how slender it is. The Pico is unique in the world of double-action-only pistols, given it is hammer fired, not striker. And this feature should make the gun particularly safe, given its firing system does not store energy until the trigger is pulled. The DAO system also gives the pistol some unique characteristics, perhaps the most desirable being its ability to restrike. In short, this means that the trigger can be pull a second time, if the first did not fire the round. Being hammer fired, Beretta has done away with passive safeties, saying the Pico does not require drop or magazine-disconnect safeties. The pistol’s other unique feature is its subchassis, which is the only place that is serialized on the handgun, thus is the only part – by Federal Law – defined as a firearm. In turn, any other part of the gun can be switched out without going into foul territory. In addition to two magazines, the Pico ships with a soft case. Presently, its MSRP is $399. I waited for two years for the Pico to come out. And when it did I found out what a waste time that was. The slide release is useless. It’s so shimmed down that you can’t get a hold of it. The magazine is some weird thing that looks like something you push in, but in fact you push it down. And then there is the 25 lb plus trigger pull. I sell guns for a living and I was like the guy who already commented. I was laughing as my customer was painfully trying to work this gun. What a joke. Just like the Kimber Solo. It has a big name on it…it should have been better. Go back and try again Beretta. Saw a Pico at my local store. Picked it up and discovered that I still do not like Berettas (past history with 92F and 96 Brigadier). The slide release requires that you have a small metal lip surgically grafted to your right thumb in order to release it. The trigger is arguably one of the worst I have ever pulled. Try bringing it up in to a firing position and see where it naturally points…way down and slightly to the left for me (it has horrible ergonomics for everyone who tried pointing it). The salesman, a personal friend, was laughing watching me contort my hands with this pathetic excuse for a firearm. Yup, it is really small and that’s the only positive attribute for this weapon. So why did it take an extra year or more to get to the market than expected? What does it do better than an LCP that would make me want it and to get rid of the LCP? In addition, the competition from smaller sized 9mm’s has grown since the Pico was announced and now I ask why would I even buy a 380 with the price of ammo for it 50% higher? It seems this has shown up too late, though I imagine dedicated Beretta folks will give it a look.